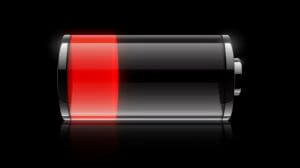 Why is the iPhone not charging and what to do in this situation? Despite the fact that gadgets with the brand of iPhone 5 / 5s are considered among the most modern in the electronic world, they are still subject to breakdowns and all sorts of defects. They can be both external and internal, depending on the operation of the device or its initial problems. That is why, to the question why the iPhone does not charge, you can find more than one or even two answers. What to do if a similar situation has overtaken the active user of the gadget, let's talk further. There are several reasons for the disruption of the iPhone 5 / 5s charging process, but as the statistics show, the gadget software’s malfunctioning, or, more simply, firmware, is perhaps the main one. Any smartphone under this brand, like any other, contains an electronic board inside which various chips, controllers, etc. are located. 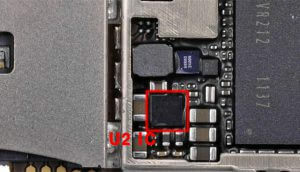 One of these components, namely the U2 IC microchip, is responsible for the logical chain of the onboard battery charging process. The main cause of failures in the circuit is, oddly enough, the use of counterfeit chargers. To do this is strictly prohibited by the manufacturer, but the heart, as they say, can not be ordered. The fact is that when a power supply is connected, its electronic unit and microchip on the iPhone board exchange checksum signals to prevent charging currents from exceeding. If you ignore this moment at your own peril and risk, then the controller may be damaged, and this will cause an open circuit or, more precisely, control over this process. As a result, the battery cannot normally or at all refuse to accumulate energy for the simple reason that it does not understand how this should occur (from the point of view of the logic of the microcircuit). 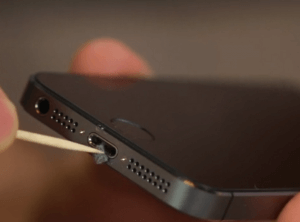 The next reason that causes a disruption in the accumulation of battery charge on the iPhone 5 / 5s is the breakdown of the power supply itself or, as it is called, the Lightning cable. The original component, despite the status of the manufacturer, is fragile and subject to rapid wear. If this happens, then the owner of this gadget essentially has one way out - replacing the defective node. And this is where the mentality works and the desire to save on what to do it is strictly prohibited. It's no secret that the original memory is not only Apple, but other flagships of the market is not cheap. At the same time, Chinese counterparts, which can be easily purchased on any international shopping website, for example, AliExpress, are many times cheaper. If you do this, then connect it to the iPhone 5, then at best (and this is not a joke) the charging process will not start at all. 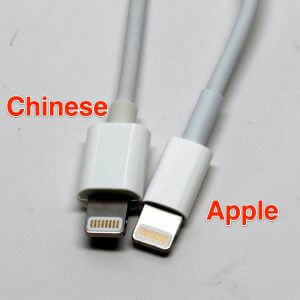 In the previous case, it was already mentioned that when the memory is connected to an Apple smartphone, data is exchanged at the microchip level - such is the original authentication mechanism of the Lightning cable. If the checksums do not match, then the service message may appear on the screen: "This cable or accessory is not certified, therefore the reliability of its work with this iPhone not guaranteed». When the check for some reason was successfully passed or bypassed, and the gadget began to charge, it was too early to rejoice. More precisely, the tide of joy may of course overwhelm the owner, but for the reason described in the previous case, it may not be long, but the frustration of the need to replace the board or microchip is much more impressive. iPhone 5 / 5s belongs to the category of gadgets that are equipped with high-quality and durable batteries. But in this world there is nothing eternal, and any battery has a finite life associated with the number of charging cycles. If the device is used quite actively, then most likely within two to three years you will have to replace the on-board battery. The main snag in this case is the "solidity of the smartphone case", which does not have the back cover, which is usual for most other mobile devices, for quick access to the battery compartment and SIM cards. Disassembling it yourself without damaging the sensitive elements of the board, the chips and the case is extremely problematic. Doing this at home without the appropriate knowledge and tools is not recommended. Therefore, in this case, the owner should contact a certified service center. Dust pollution. On Apple 5 Series devices, this connector has become closer to the standards used by most manufacturers. Its width has decreased, as a result of which any debris, dust, getting inside, lingers there, breaking contact circuits. If this happens, then you need to take an ordinary toothpick and do a "general cleaning". "Global flood". Apple smartphone is not dustproof, waterproof, that is, the contact of any part of the body with water can lead to its ingress into the elements of the electronic board. What can I say when it falls into a fully open connector. Unlike dust, which simply clogs contacts, water oxidizes them, breaking the food chain. This fault is eliminated by replacing the port. Mechanical defect. 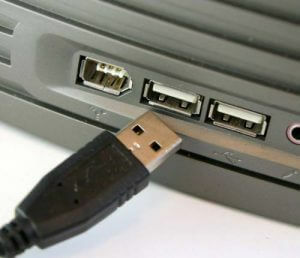 The power connector may also interfere with the process of charging the battery, if as a result of a mechanical impact on the device, it was damaged or the cable itself went away. This problem can be fixed only in the conditions of the service center. It is not recommended to do this for the reasons described above. Charging the iPhone 5 / 5s involves connecting the electrical circuit of the gadget (via the connector) and the power source (household electrical network, a third-party gadget, such as a laptop or PC), via an adapter with a USB port, or directly through the port itself. If all of the above possible reasons for the violation of the battery charging process are rejected, then you need to look for the problem not in the device itself, but in the power source. In other words, you need to do a USB port diagnostics. Possible roots of the problem lies in the fact that the charging circuit of the iPhone and the power supply with a standard USB port may have different characteristics. In the first case, it is 5В / 1А, and in the second - 5В / 0,5А. Not matching the operating modes can also affect the fact that the iPhone is not charging.